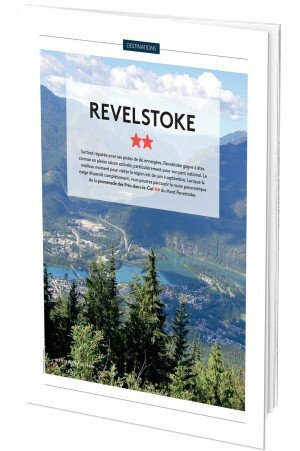 Best known for its ski hills, Revelstoke and its national park are well worth exploring in summer. 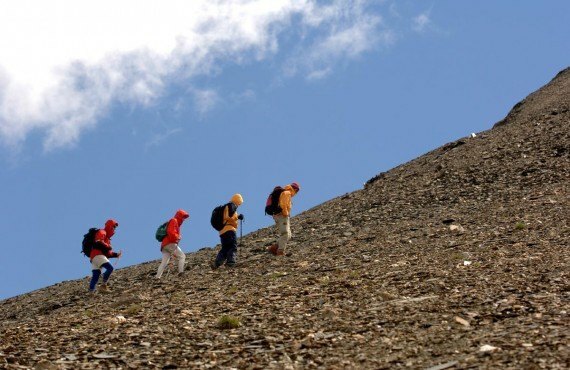 The best time to visit the region is from June to September. 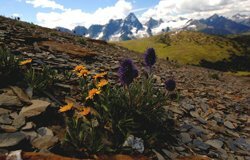 Once the snow has disappeared, you can take the spectacular Meadows in the Sky Parkway to the summit of Mount Revelstoke. The Revelstoke Dam, a hydroelectric dam spanning the Columbia River, is a popular local attraction. 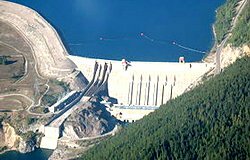 It is the second largest power generating facility in British Columbia. Tours of the dam are offered daily during the summer season, between late May and early September, from 10 a.m. to 4 p.m. The price is $8 per adult, $7 for children aged 6-17, and free for children under 6. These fabulous falls are just a few minutes south of Revelstoke, where Begbie Creek empties into Upper Arrow Lake. It is the perfect spot for a picnic or a walk in the humid forest, with a good pair of shoes and your camera in hand. The site and parking area are reached by a narrow gravel road that is not recommended for RVs. Follow Highway 23 South, turn left on Clough Road, and then right on Mount Begbie Road. 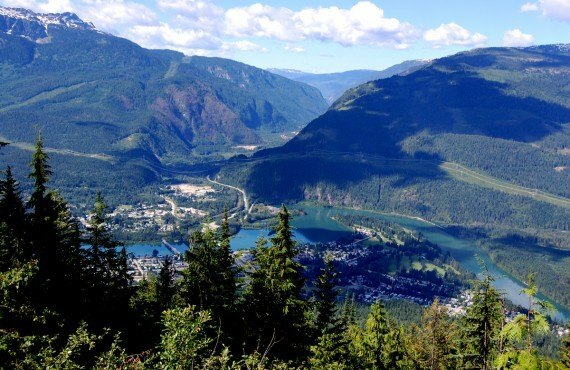 One of the major attractions in Mount Revelstoke National Park is the Meadows in the Sky Parkway , a winding 26-kilometre paved mountain road with 16 switchbacks leading up to the summit of Mount Revelstoke. The Meadows in the Sky Parkway takes you through forests of cedar and hemlock, spruce and fir to the renowned subalpine wildflower meadows of Mount Revelstoke National Park. The best time to visit is in early August when the blooms are at their peak. The summit offers mountain-top hiking, strolling, picnicking and photography opportunities and is crowned by a historic firetower. The road is accessible during the snow-free season (usually early July to late September). The last short section leading to the summit area is only accessible by Summit Shuttle Bus (see box below). If you are travelling with a long RV, some restrictions may apply. Check with the staff at the welcome station to be sure that your vehicle is permitted. The park also boasts the fabulous Giant Cedars Boardwalk Trail , a half-kilometre boardwalk that takes you into the heart of the park's old-growth forest, among cedar trees that may be more than half a millennium old. Accessible to everyone. Season: Open year-round, 24 hours a day. Admission fee: In 2019, the admission fee is $7.80/day/adult and free for youth 17 and under. An annual Parks Canada Discovery Pass is $67.70/adult. Visitor Centre: The Meadows in the Sky Parkway welcome station is open daily May 18-June 13 and Sept. 6-Oct. 9, from 9 a.m. to 5 p.m., and June 14-Sept. 5 from 8 a.m. to 5 p.m. Shuttle service: Yes, on a short section of the Meadows in the Sky Parkway leading to the summit, during the snow-free season (usually early July to late September). The bus transports visitors between the parking area at Balsam Lake and the Heather Lake summit area, every day from 10 a.m. to 5:30 p.m. (until 4:30 p.m. in low season). Glacier National Park offers exceptional alpine scenery, a mild wet climate and a wide variety of vegetation and wildlife. 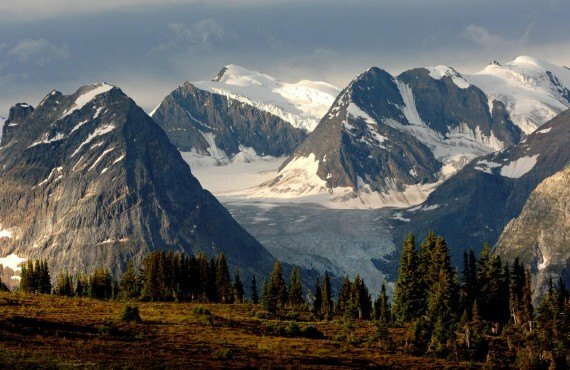 The Trans-Canada Highway (Highway 1) passes through the park, and it is interesting to stop at the Rogers Pass Discovery Centre to learn about the triumphs and tragedies behind the building of Canada’s first trans-continental railway. 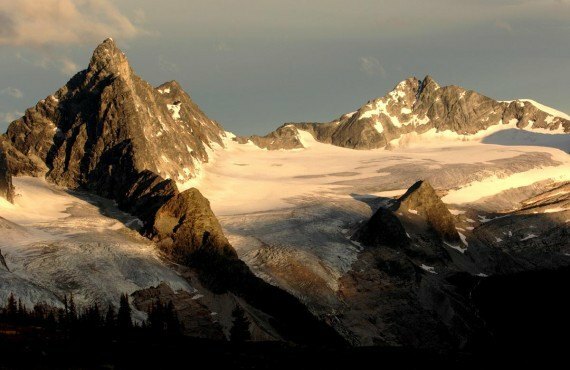 Visitor Centre: The Rogers Pass Discovery Centre is open May 1-June 13 and Sept. 6-Nov. 14, from 9 a.m. to 5 p.m., June 14-Sept. 5 from 8 a.m. to 7 p.m. and off-season from 7 a.m. to 4 p.m. (closed December 25). This unique, friendly restaurant is sure to bring a smile to your face. Its casual ski chalet decor, humorous menu and quality pub cuisine have made the Village Idiot a favourite for locals and visitors alike. The burgers and made-to-order pizza are the house specialties. Open daily from 11:30 a.m. until late in the evening. Clients are drawn to Woolsey Creek Bistro for its imaginative, flavorful cuisine and welcoming, funky atmosphere. 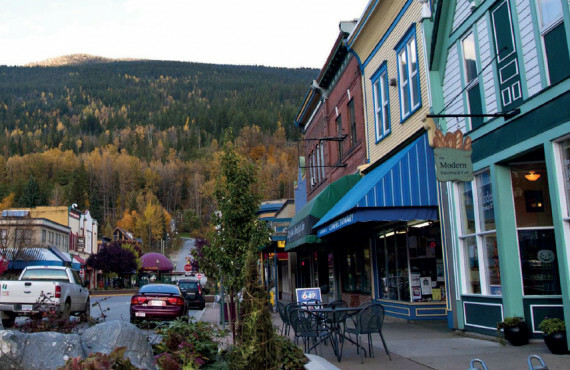 At the same time, Woolsey Creek Bistro offers a sustainable dining experience that strives to minimize its ecological footprint and encourage local BC farmers. Open daily from 5 p.m.